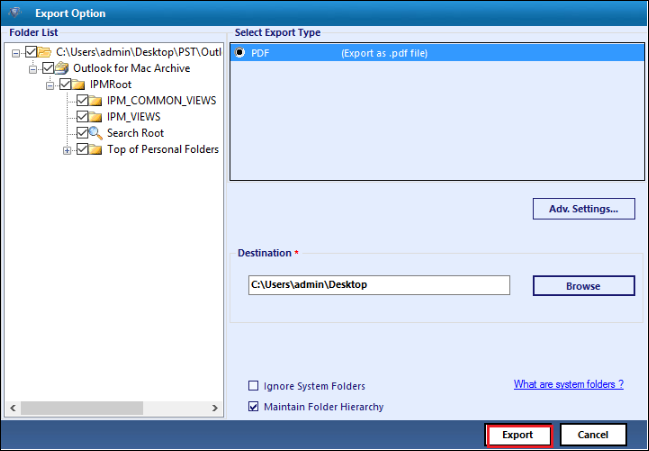 Portability is the most important feature, as a result, it becomes easy to access any given file on different platforms. This feature allows a user to transfer files from one machine to another through an external device. Even though, this portability feature does not support Microsoft Outlook email files. In fact, users are not able to move single files from one system to another without converting them to PDF format. 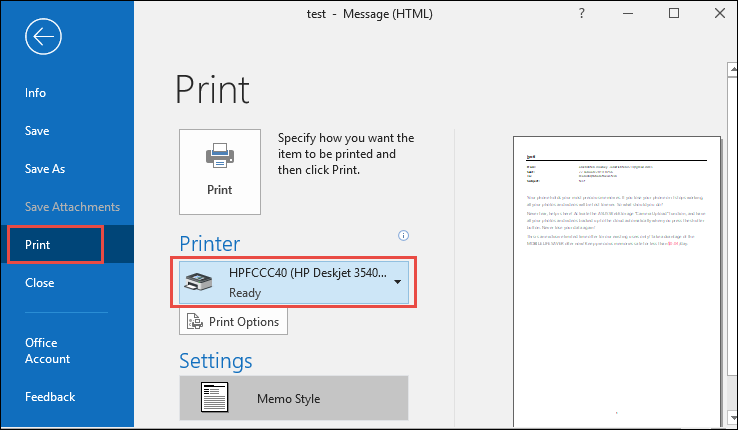 Deficiency of this feature makes it difficult for someone to print and convert Outlook PST file to PDF. 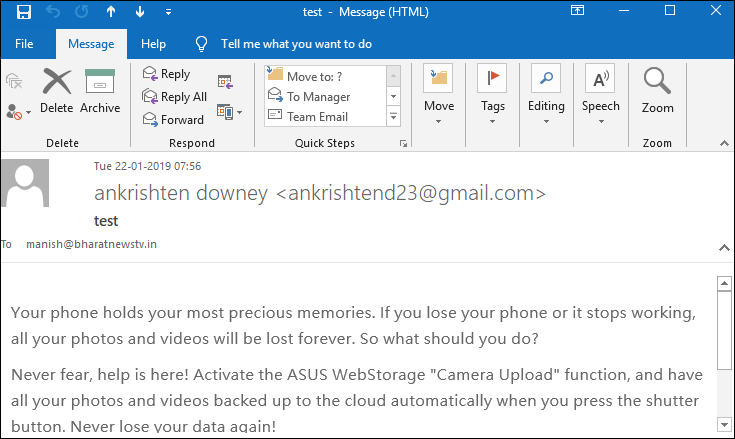 For this, users must have to save Outlook messages in PDF format. Because PDF (Portable Document file) is a secure and independent file format to keep important data safe. Also, users can access portable documents anywhere on any system or platform. 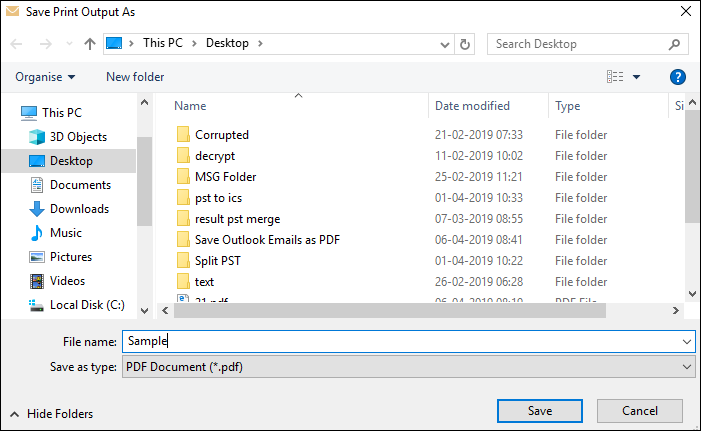 Now, in the upcoming section, we are going to explain a complete procedure to save Microsoft Outlook emails to PDF file in an absolute way. Why Users Need to Convert Outlook Email to Adobe PDF? PDF is the most widely used in forensic investigation and by lawyers to avail it as evidence. 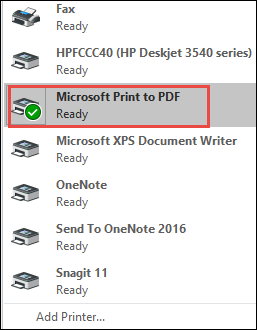 Thereby, it is necessary to save Outlook emails as PDF format. 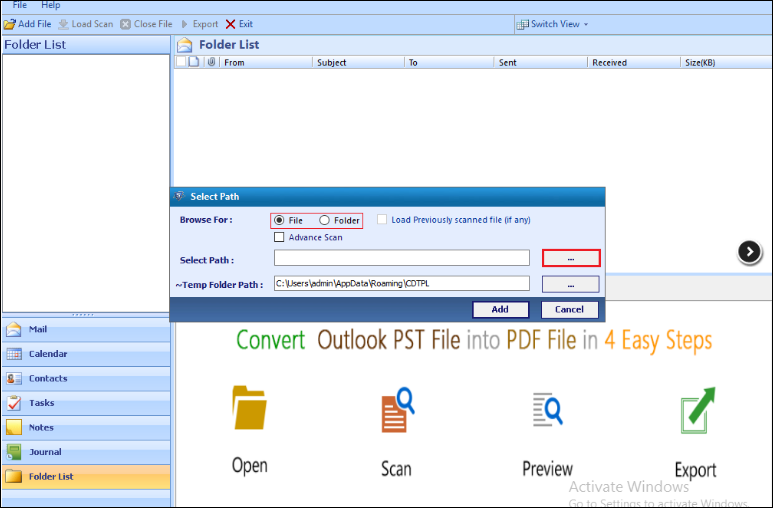 Some employees, professors, and students want to convert Outlook email in PDF file. Because they want to use it in presentations, projects, and assignments. In many cases, users have Outlook mails with them but Microsoft Outlook is not installed on the system. Therefore, to get access to these emails without MS Outlook, this conversion is necessary. 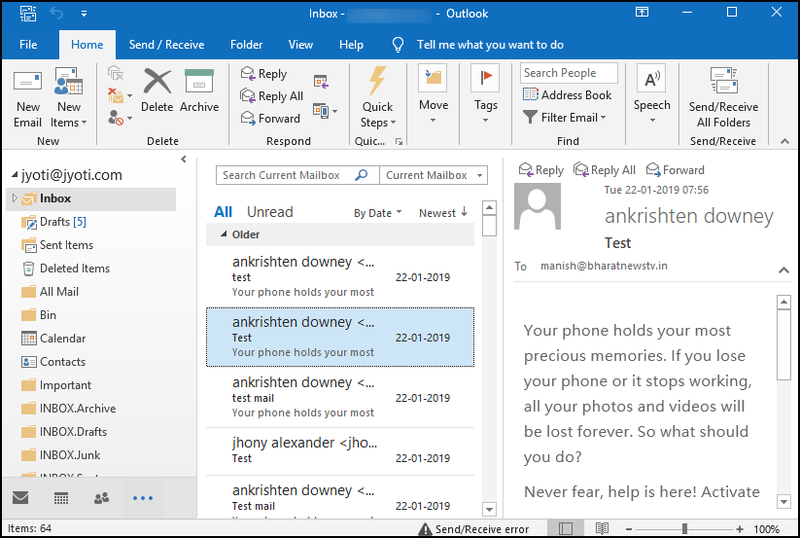 Outlook data file may increase the size on regular use of email programs. Alternatively, PDF file is small in size. Henceforth, it is always suggested to convert Microsoft Outlook email to PDF format. 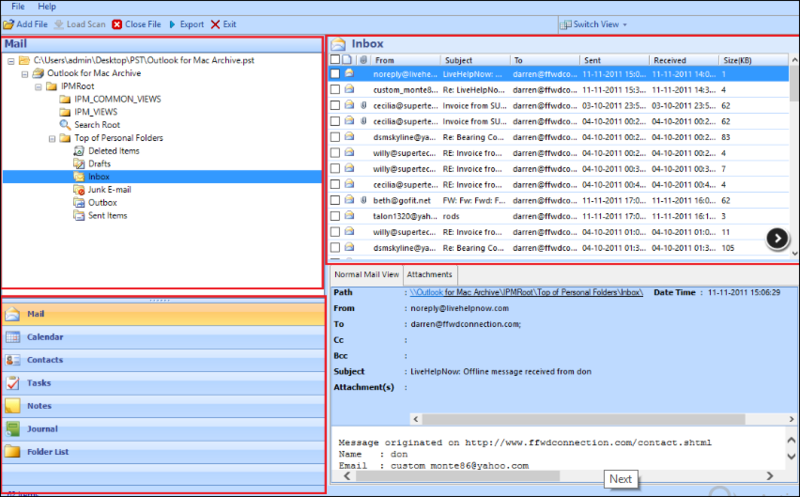 This method will take lots of time in the case of large number of emails in Outlook. 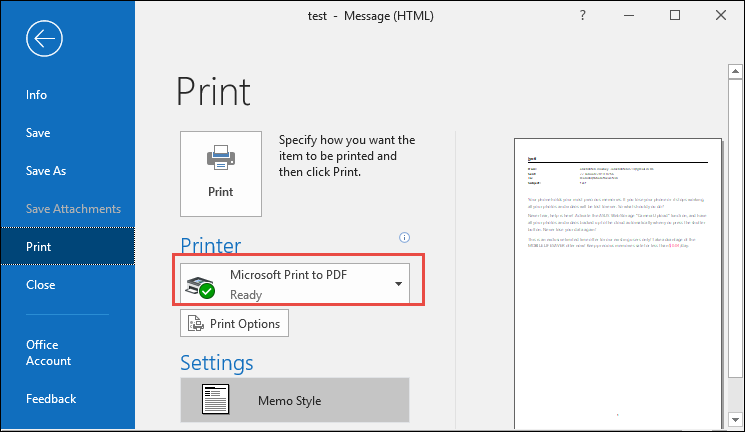 It will not convert Microsoft Outlook emails to PDF with attachments. So, it is not a feasible solution at all, users have to opt for some other alternative. Many times users have to do Print settings while implementing the manual approach. PDF format is commonly used to save documents in a standard format that can be viewed on several platforms. In fact, users can easily access them from anywhere without any complications. That’s why, users have to export and save Microsoft Outlook emails to PDF file. In this blog, we have discussed both manual and automated solutions for the same. To convert Outlook email to Adobe PDF without any data loss, it is always recommended to make use of an alternate solution.